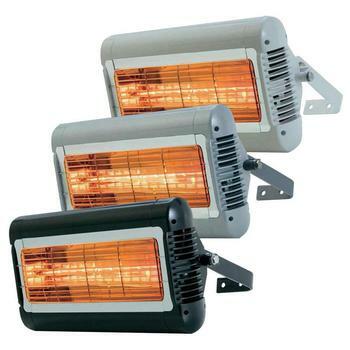 Why use a wall-mounted outdoor heater? 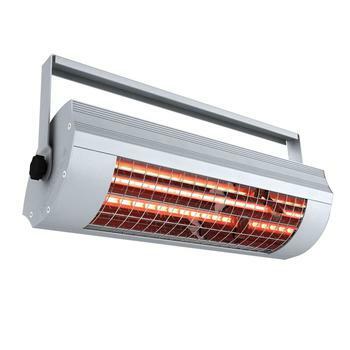 A wall-mounted patio heater is a wise investment for a homeowner or business due to its neat size, economical energy consumption and long-lasting components. 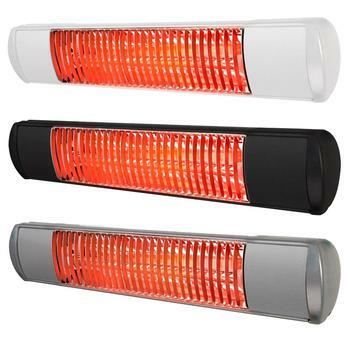 Search our wall-mounted patio heater options via the product links below, or continue reading below to find out more about the top reasons for choosing a wall-mounted heater over other types of available options. If you often entertain on your garden patio or you run a restaurant with a busy dining terrace, keeping floor space free means there’s more room for family members or paying customers to relax. 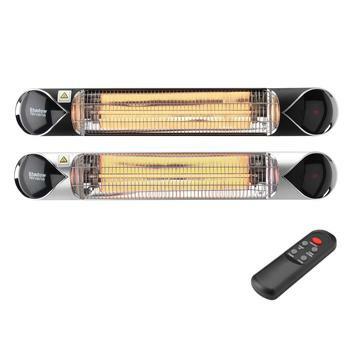 Rather than look for a floor-standing unit, a wall-mounted outdoor heater may be better because it can easily be screwed into place above your guests and out of harm’s way. 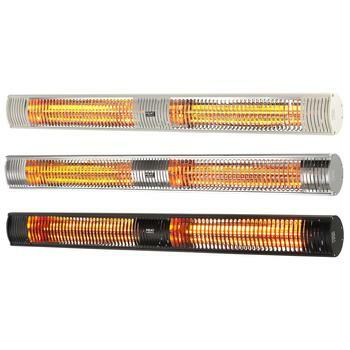 Need to turn up the heat indoors? 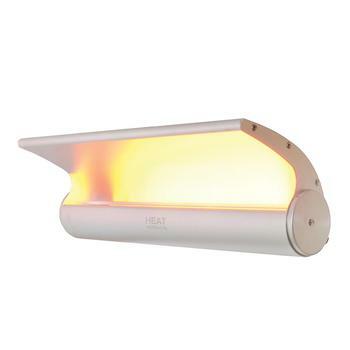 The versatile Shadow Noir Lite can be mounted from an interior wall or ceiling, making it the perfect space-saving heater for indoor or sheltered outdoor areas. 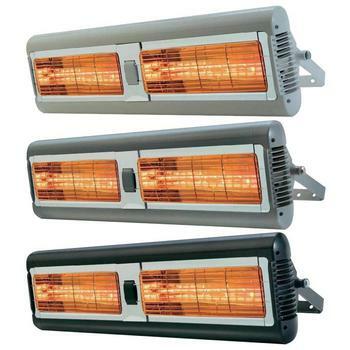 All of our outdoor wall heaters use infrared waves to generate warmth. So, rather than heating the cold air that circulates around a space, they beam their warmth directly – no loss of warmth, no energy wastage. 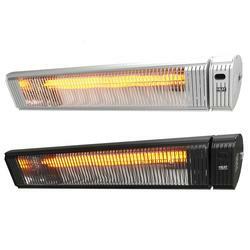 Thanks to their efficiency, this type of heater generates warmth instantly – at the speed of light, in fact. 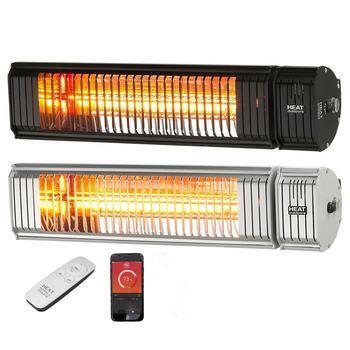 This is due to the short-wave nature of infrared waves, which cause energy to turn to heat when they connect with people, objects and surfaces in the heater’s direct path. 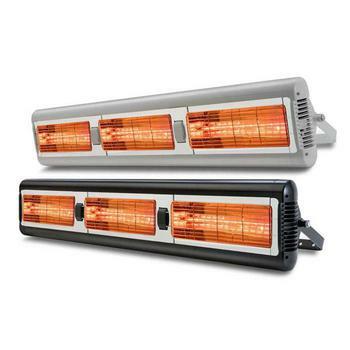 Infrared wall heaters use smaller amounts of energy over time, making them less costly to run than gas models. 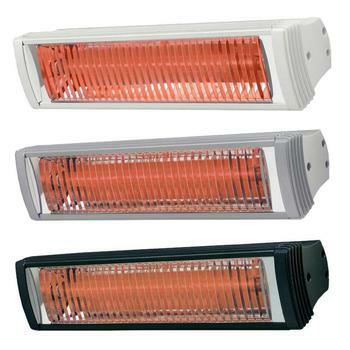 They are the perfect choice for areas which are busy for longer periods, such as pub smoking areas and beer gardens. 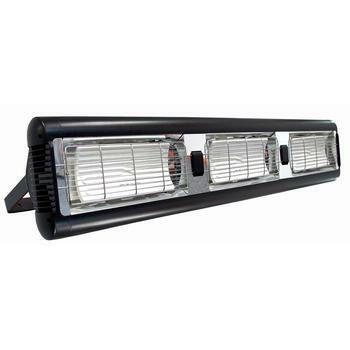 Made from ultra-durable materials, our wall-mounted heaters are renowned for their longevity and are incredibly low-maintenance. 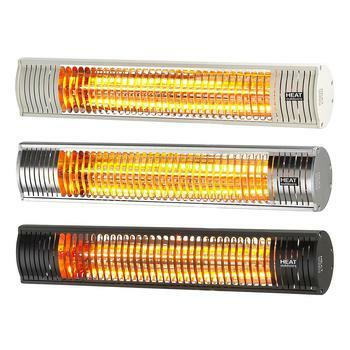 Because they’re mains-powered, you won’t need to waste time replacing fuel canisters like you would with a gas heater. 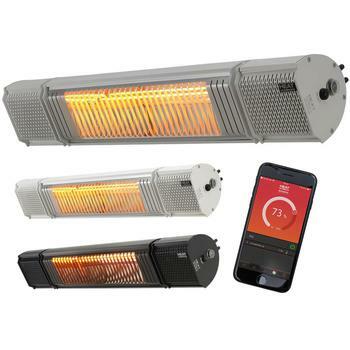 Developed for use in large industrial environments such as warehouses and construction sites, the Tansun Apollo K2 patio wall heater is equipped with 5,000-hour infrared lamps – that’s more than 6 months of powerful heat without replacing any heating components! 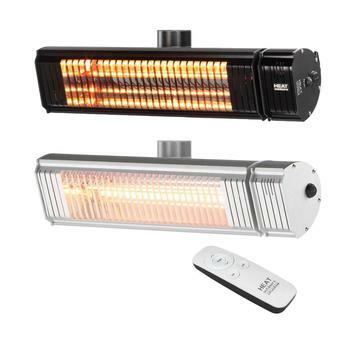 Built with great engineering precision and attention to detail, the Burda Smart Flush Mounted heater is the most discreet patio wall heater in our collection. 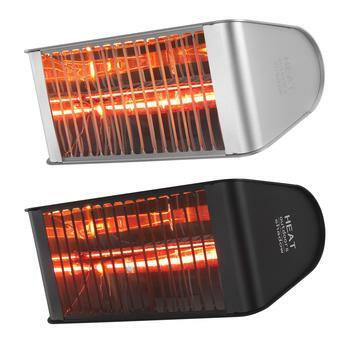 Ideally suited for stylish homes, high-end pub gardens and hotel courtyards – this German-manufactured heater can be recessed within an external wall, making it practically invisible. If your clientele prefer a minimalistic and refined environment, this unobtrusive model could be the ideal solution. 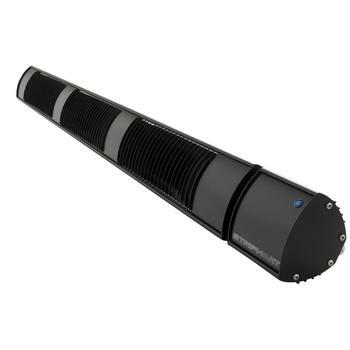 The first ever zero-light heater to hit the market, the Tansun Sorrento Ceramic 3.9kW was built for environments such as studios, restaurants and theme parks, where excess light can cause a nuisance. 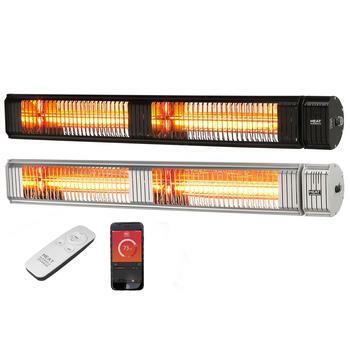 With a whopping heat span of 15 square meters, this wall-mounted heater is perfect for larger open-air spaces. 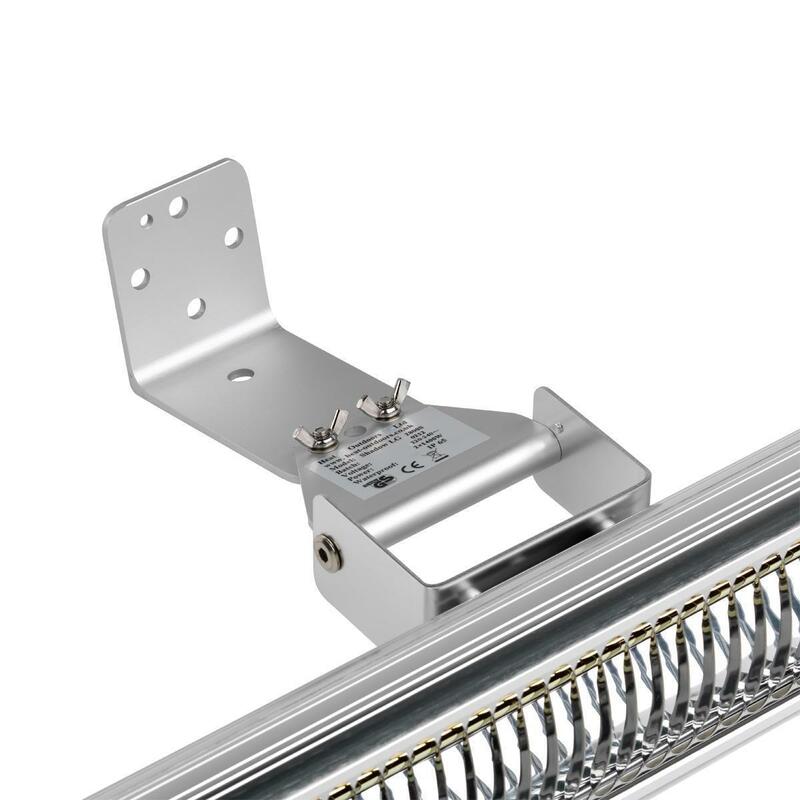 The ultimate high-performance wall heater, the Tansun Apollo F2 was designed to be mounted 10 feet above the ground, making it the ideal solution for football grounds, warehouses and sports arenas. 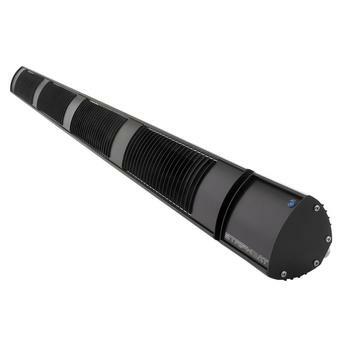 This model is available in three different strengths: 9kW, 13.5kW or 18kW – and (despite its size) it’s surprisingly lightweight and simple to mount. 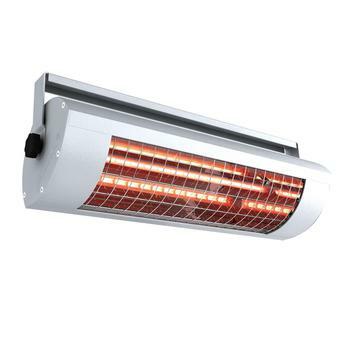 Maintenance – or should we say the near absence of maintenance – is one of the main benefits of an electric patio wall heater. 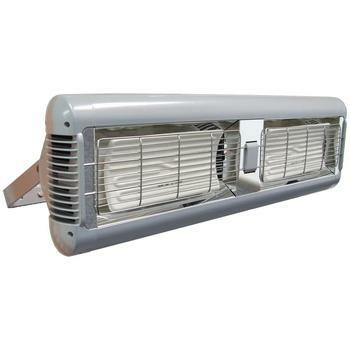 Thoroughly cleaning your wall heater with a slightly damp cloth once a year will be sufficient to keep it looking its best. 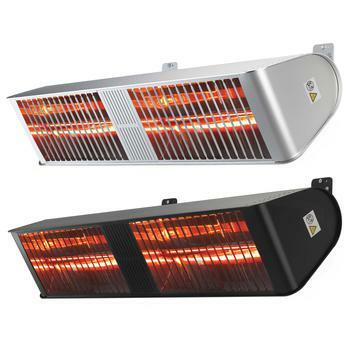 We’d recommend you clean them in the autumn – since there are fewer insects around, bugs are less likely collide with the heat lamps and undo all your good work. 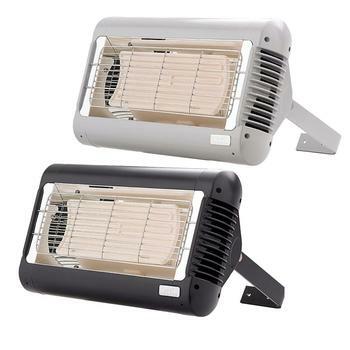 All of our wall-mounted electric models are fully weatherproof, meaning they can stay outside and be used in any conditions – so you won’t need to bring them in during the winter months. 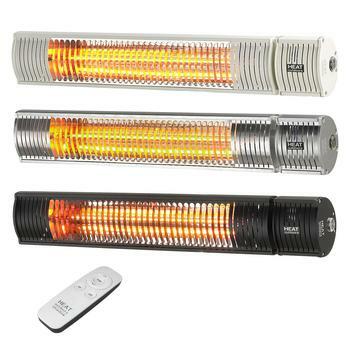 You may like to vacuum or dust the heat lamps on your appliance every now and then – an accumulation of dust can alter the smooth functioning of the heater, which can lead to a higher energy consumption. 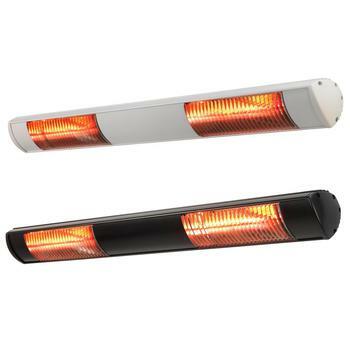 Finally – for electrical safety reasons – it’s wise to occasionally check the heater’s electrical connection and wall socket are secure. 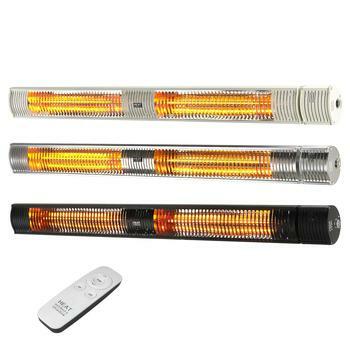 If not, a few turns of a screwdriver will put things tightly back in place.